Tattoos convey a wealth of information both explicitly and behind the scenes. Placement, size, color, and design all contribute to the secret messages revealed. Everyone comes up with their own ideas on meanings when they see a tattoo on someone. In addition, each person getting a tattoo has their own idea of what that tattoo means to them, and why they got it. A tiny tattoo says more with less. As tattoo needles, equipment, inks, and artist skill sets evolved to greater precision, so rose the popularity of small tattoos like the tiny tattoo, mini tattoo, and micro tattoo. The tiny tattoo puts a modern spin on this ancient art of the skin. By going tiny, the small tattoo provides the impact from permanence without the stigma of a larger, traditional tattoo. A mini tattoo is easier to cover, making the reveal that much more surprising and captivating. Now you can appreciate the popularity of small tattoos for females. Does size matter to women? Not with tiny tattoos! You can have unique small tattoos with deep meaning. In fact, a tiny tattoo can speak louder than a huge tattoo. Curious? Read on. Here are some small tattoos on the wrist with meaning. The inner wrist is one of the most common spots for a mini tattoo. A simple twist of the arm is all it takes to cover or reveal the tattoo. The choice is yours. Does music speak to you? Try this letter S and treble clef fusion mini tattoo. An amazing heart and airplane mini tattoo has a deeper meaning for those free-spirited individuals that love to travel and experience the world. 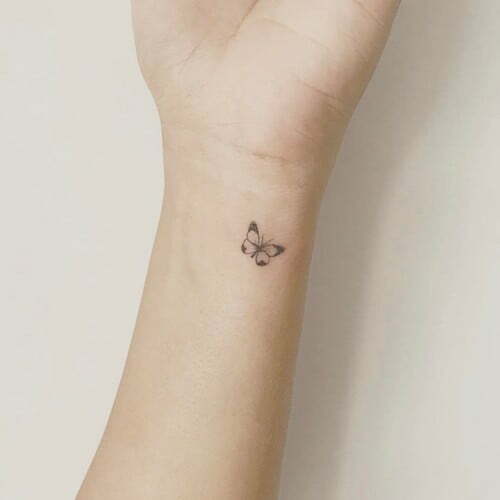 A butterfly mini tattoo on her wrist symbolizes a beautiful transition. Look at a star and planet tiny tattoo if you wonder and dream of the sky and heavens above. A tiny love tattoo on the wrist reminds us that love conquers all. Love is the strongest of human emotions. Perfect for someone who wears her heart on her sleeve. A tiny flower tattoo brings that feminine touch. 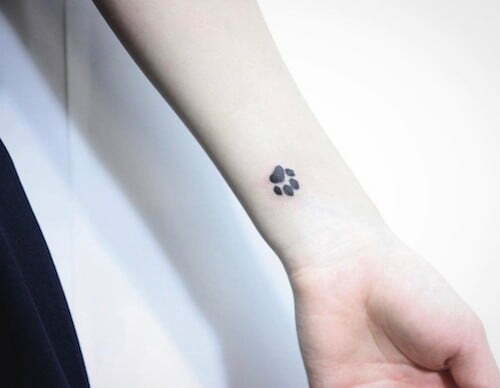 A puppy paw print small tattoo to remind yourself of your favorite little buddy. Segno and coda mini tattoos show your dedication to music. A little bow tattoo to show what a special gift you are. 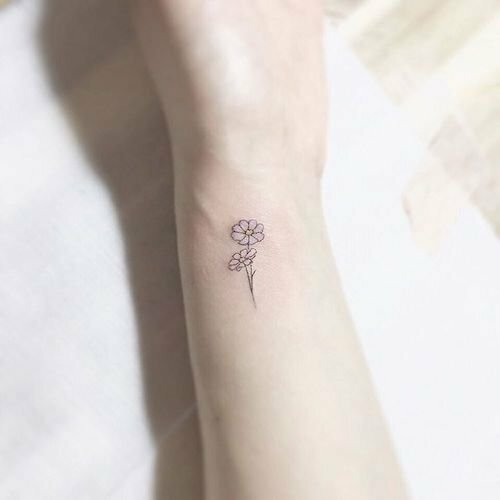 A cute flower tiny tattoo for those that love all things nature. 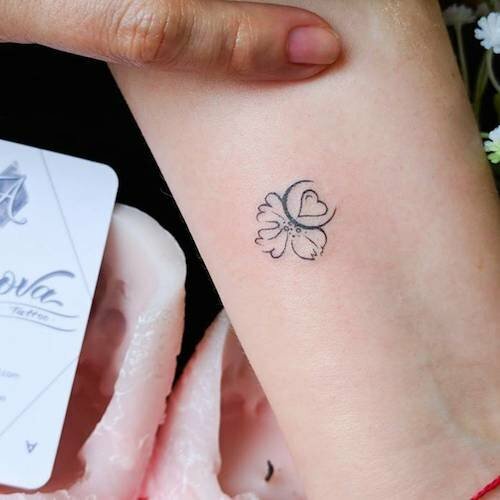 An artful heart and clover design for a spectacular looking mini tattoo. An olive wreath mini tattoo, meaning victory, success, and strength. A four heart clover mini tattoo for faith, hope, love, and luck. A mini eagle tattoo to inspire courage, focus, and success. A white ink mini tattoo is a less visible, and more subtle statement, resembling and artsy scar. 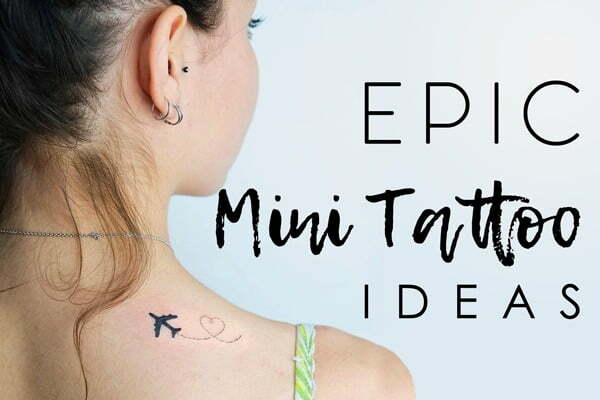 An airplane mini tattoo for free-spirited individuals that love to visit new places, and experience new cultures. Small tattoos on the arm are easier to conceal than the wrist. The right sleeve length is all that needs to be worn. These small arm tattoos reveal a more private aspect of the bearer. Here are some simple small tattoo ideas for arms. 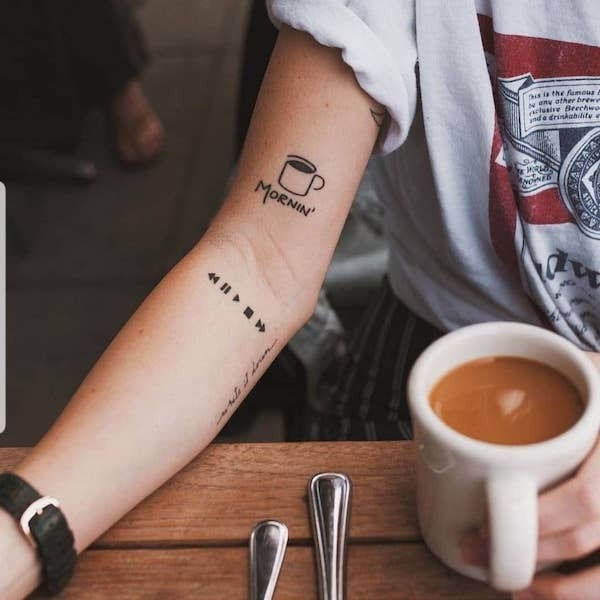 Start the morning right with a cup of coffee mini tattoo. Once you get started, you’ll need some play controls to fine tune your fun. A red white and blue filled heart mini tattoo. A heart mini tattoo on the outer forearm. A red heart outline mini tattoo on inner, upper arm. Fingers don’t have much canvas space to begin with, so they are a natural place for a mini tattoo. You can place the tattoo between fingers for a more hidden look. Tattooing the topside of the fingers is a sure conversation starter. A life script mini tattoo on finger by vivotattoo reminds us to ponder life and its trials and tribulations. A lotus flower finger tattoo meaning purity and divinity. The lotus flower is a popular tattoo for yoga practitioners. It’s also a reminder to calm down and allow your spiritual awareness to grow. Feel the power surging through your finger tips with this lighting bolt mini tattoo. Perfect for someone with lots of energy. For a rock you can’t lose, try this diamond mini tattoo on your ring finger. Cat lovers will crave your kitty finger mini tattoo. Too cute! This vine finger mini tattoo shows off your strong connection to nature. A mini dandelion finger tattoo reminds you of your dreams and wishes. May they all come true. Coming up… Ankle Mini Tattoos!